Western governments are warning citizens against travelling to nearly all of the southern third of the Philippines, citing the rising threats of terror attacks and kidnappings. 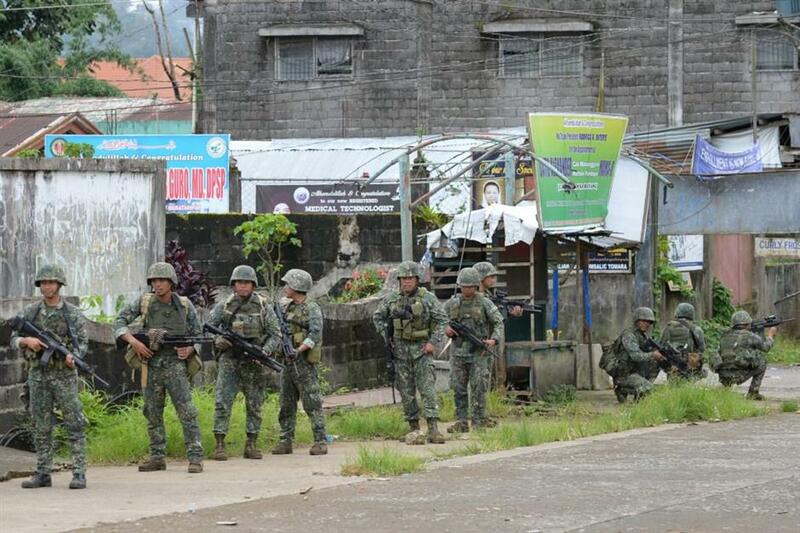 This photo taken on July 22, 2017 shows Philippine Marines patrolling a deserted street at the frontline in Marawi on the southern island of Mindanao, as fighting between government troops and Islamist militants enters its second month. Western governments are warning their citizens against travelling to nearly all of the southern third of the Philippines, citing the rising threats of terror attacks and kidnappings by Islamist militants. In a July 18 advisory that warned against travelling to Mindanao, the US embassy in Manila said it had "credible information" that terrorists also planned to conduct kidnappings on the tourist islands of Palawan, Cebu and Bohol in 2017.